In blender, place ice cream, milk and cinnamon. Cover and blend on high speed until smooth and creamy. Add pie chunks; cover and blend until smooth, stopping blender to scrape down sides if necessary. Pour into 2 glasses; top with sweetened whipped cream; sprinkle with cinnamon. Serve immediately. 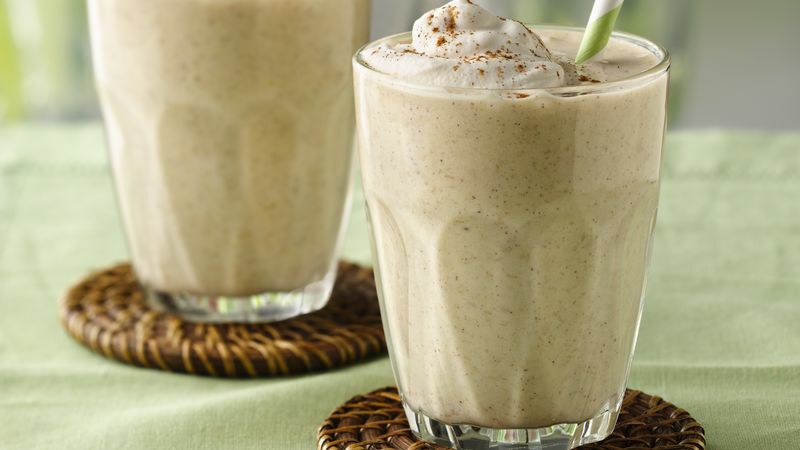 *Cinnamon ice cream can be substitutes; omit 1/4 to 1/2 teaspoon ground cinnamon.